Your Eternal Username, including your 4 digit friend code, which can be found both in your Eternal profile and at the top of your Friend List. Your Discord Username, including your 4 digit friend code, which can be found in the bottom left corner of the Discord client. It is preferred if this username is the same as your Eternal username. An EternalWarcry account, as tournament deck submission is done via EternalWarcry. It is preferred if this username is the same as your Eternal username. A Battlefy account, as tournaments are run through Battlefy and you need an account to register. This account does not need to have the same name as your other accounts. Being on the Discord is required to participate in events! Read the On the Day Of page for more information about the Discord server. Tournaments are currently being run on Battlefy, which means you must register for them on the Battlefy site, via the link on our ETS page or in the Eternal Discord. You must submit your Eternal Username, Discord username, and your decklist for the event. 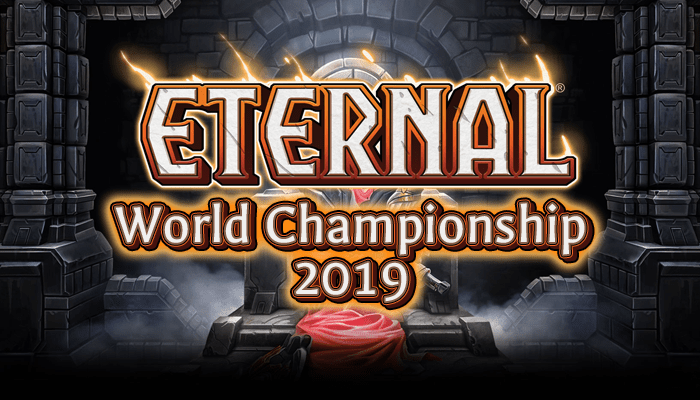 Decks must be submitted via the Eternal Warcry deckbuilder, as a TOURNAMENT DECK. The deck must be saved. This ensures that the deck is not visible to other players before the tournament starts and that the decklist cannot be changed during the event. You must save your deck before submitting it. If the URL you submit has “deck-builder” in it, it’s not the correct URL. If you want to change your list, you must leave the tournament and register again. Once you’re in that view, click the export button in the top left portion of the screen. This will put the deck into your clipboard. You are allowed to submit a 5 card market with your deck, if your deck contains at least 1 Merchant. Markets may not contain duplicate cards, nor may you have more than 5 cards between your market and main deck. If you built a market in game (which it is recommended you do) exporting the deck will also export the market.